Fitness trackers may not present a huge security risk, but any connected device can be hacked. Here’s what you need to know to minimize those security and privacy threats. The risks from corporate use of activity trackers and other wearables is low, some experts say -- especially in comparison to all the other security and privacy risks CISOs, CIOs and IT folks must worry about. Here’s what you should know about the security and privacy risks of wearables, and the best practices for minimizing those risks. With all the security concerns that enterprise IT already have on their mind, do they also need to worry about wearables? Yes, says Jeff Pollard, a principal analyst focused on security and risk at Forrester Research. For example, some fitness trackers can provide geolocation data “minute by minute to the cloud,” sharing employee as well as company locations. At the same time, “enterprise employees and consumers are opting in to data aggregation and analytics at a daunting scale,” he explains. “Though IoT devices and wearables don’t necessarily create new security vulnerabilities, they reintroduce a lot of old ones,” says Steve Manzuik, director of security research for Duo Security, a cloud-based trusted access provider. Such devices are “like the wild West of easy hacking targets that many experienced with mainstream computing back in the 90s,” he says. As with typical consumer IoT devices, wearables “in most cases don’t ship with built-in security and so they’re vulnerable to being compromised,” says Vinay Anand, vice president of ClearPass Security at Aruba Networks, an enterprise wireless LAN provider. To put things in perspective, the security and privacy risks associated with wearables is “quite low, but it escalates with the type of device,” says Chet Wisniewski, principal research scientist for security software developer Sophos. In general, “personal connected devices that primarily operate via close-proximity protocols, like Bluetooth Low Energy, and piggy-back onto mobile devices, such as smart phones, are generally less directly accessible for abuse, vs. IoT devices that are actively connected to the internet via Ethernet or Wi-Fi,” adds Michael McNeil, global head of product device security for Philips Healthcare, which provides clinical healthcare systems and consulting. In addition, Fitbit, the leading wearable maker for corporate wellness, has much to lose if it doesn’t take security seriously. To help safeguard against hacks and to protect data, Fitbit devices receive firmware updates that address security (and functionality) as needed and include built-in encryption when syncing data to the cloud, says Marc Bown, Fitbit’s senior security engineer. Partnering with a customer’s IT and/or security team to “proactively address any questions or concerns” regarding the security of employee fitness and health data, says Amy McDonough, vice president and general manager of Fitbit Group Health. Offering an invite-only, bug bounty program to augment the research and testing that Fitbit’s security response team conducts. Posting explanations of tracker firmware updates. Since spring 2016, Fitbit has also labeled client software updates that contain security fixes with a “Critical/Important/Moderate/Low” rating to provide “guidance for interpreting those ratings similar to best practices from Google, Microsoft, and others,” according to a Fitbit blog post on security. Developing best practices around the activity tracking data employers obtain from employees who participate in Fitbit wellness programs. Companies that collect but don’t carefully anonymize health-related data have effectively acquired what’s known aselectronic Protected Health Information (ePHI), “which puts you squarely in the HIPAA world,” warns Eric Hodge, director of consulting at CyberScout, a data risk management and identity protection firm. And then, you must “worry about complying with all kinds of HIPAA requirements just as a hospital would,” he says. Plus, you’re exposed to the same fines, which lately have been between $150,000 and $6 million, if you don’t comply with HIPAA requirements. As a precaution, be sure to dissociate information about health and fitness from the individual, he adds. Because some IoT devices have “a history of poor security,” organizations should keep these devices on a dedicated network that doesn’t provide any access to internal resources, such as a guest Wi-Fi network, adds Matias Woloski, CTO and co-Founder of Auth0, a universal identity platform. Is the IoT company HIPAA-compliant? Does it adhere to standards? How does it manage credentials and identity? Is there an easy revocation strategy in case a device is lost or stolen? These are a few questions CISOs should ask wearable/group health platform providers, says Woloski. Corporate fitness and wellness programs are typically tied to third-party software platforms that request permission to access the data generated by trackers or other devices, Woloski adds. 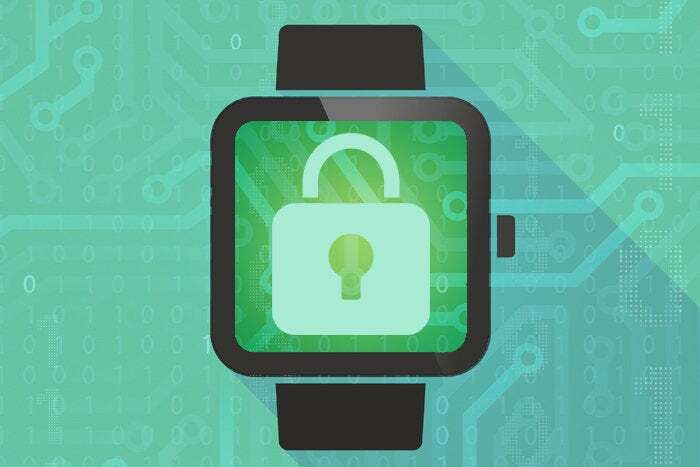 CISOs should look for wearable providers that expose their API using authorization protocols such as OAuth 2, so that users can stay in control and revoke access whenever they want, he says. To run a successful wellness program or fitness challenge, an enterprise needs opt-in data from participating employees, such as how many steps they’ve taken. But you should restrict wellness program data access to those who need it to run the program, advises McDonough. We’re “a long way” from “IoT anti-malware solutions,” notes Pollard. Wearables use a variety of third-party components, operating systems and software—there’s no standard dominant operating system, such as Microsoft Windows, to standardize or build upon, he explains. So, the road could likely be rocky in the near-term. Long-term, the security situation will improve, Manzuik says. But it could take a few high-profile vulnerabilities or hacks to get us there.